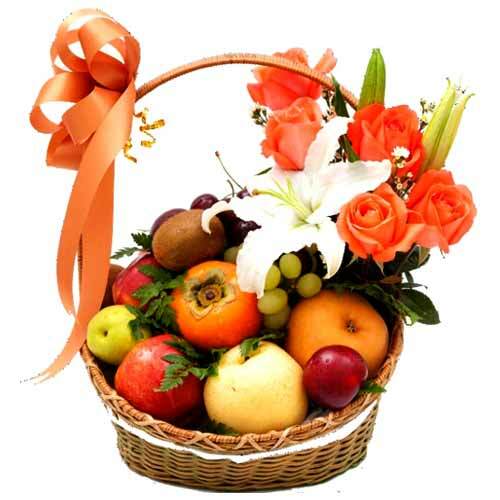 Send the person conquering your dreams and thoughts this Dreamy White Roses and Lilium in a Bowl Decorated with Greens conveying the messages of love straight from your heart. 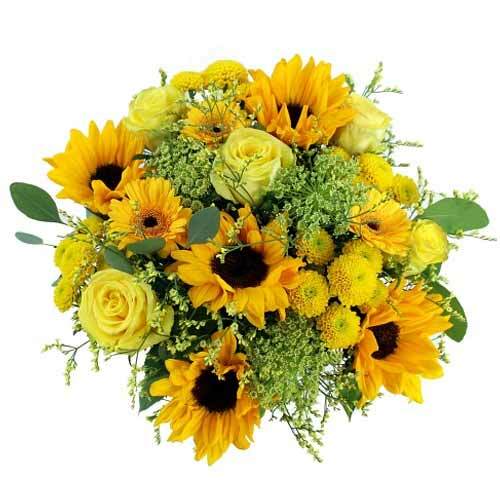 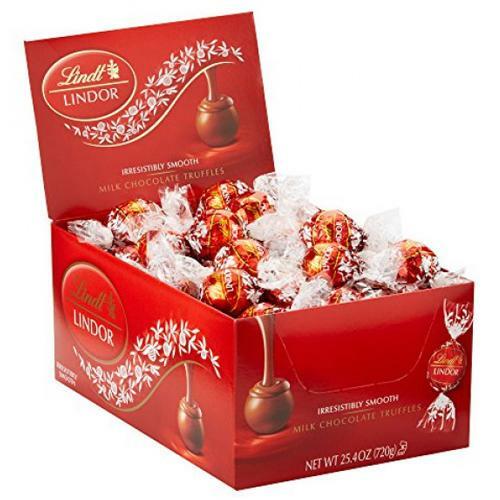 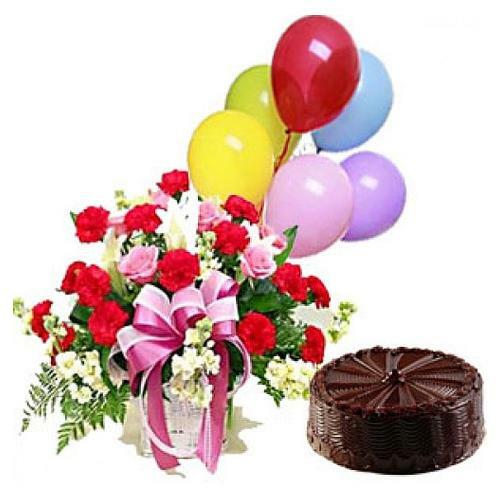 Send this Sophisticated Gift of Mixed Flower Basket with 5 Balloons and Chocolate Cake that adds a spark in the lives of the people you love to make them more happy. 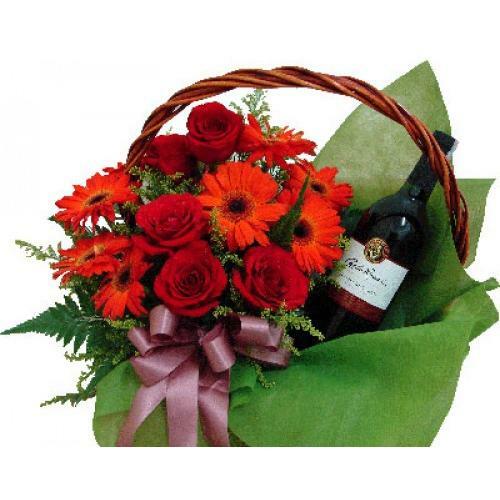 This Assorted Flowers Basket holds Pink and Red Color Roses with White Color Flowers beautified with Green Fillers and lovely Pink Ribbon.